Just 4 miles from the Roseland Heritage coast famed for its mild climate, this spacious and comfortable detached cottage is set in a quiet cul-de-sac in the heart of a pretty village with pub, restaurant and shop/P.O. The coastline, dotted with coves, sandy beaches and quaint hamlets, offers miles of glorious cliff walks. From St Mawes (a pretty 20 minute drive), ferries ply to Falmouth. Truro, Trelissick Gardens (N.T. 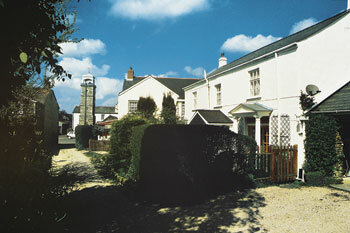 ), the Lost Gardens of Heligan and the Eden Project are all within 10 miles. Golf 8 miles. Three bedrooms. Large porch. Hall. Well equipped kitchen with dining area and doors to enclosed terrace. 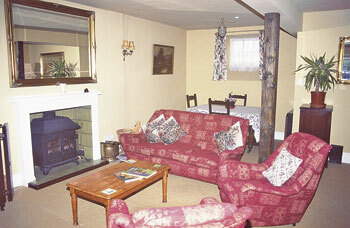 Spacious sitting room with wood burner. Cloakroom/W.C. First floor: Two double bedrooms, one with ensuite shower room/W.C. Twin bedded room with additional pull out bed (for + child). Bathroom/W.C. (shower over bath).